“I have been associated with Lancaster Priory since 2001 when I joined the choir as a treble. Soon after I started organ lessons as a Junior Organ Scholar with Ian Pattinson, and I found myself being increasingly engaged in much more than I thought possible musically and spiritually. As I moved through the choir I was also given the chance to conduct and compose, and I still remember directing the premiere of my mass setting on Mothering Sunday in 2005. Despite leaving Lancaster for the University of York in October 2007, I was constantly drawn back to the Priory over the next three years for the Patronal Festivals, large services at Christmas and Easter, and other special events. In fact, on completing my music degree at York I naturally rejoined the Priory, firstly as Duchy of Lancaster Organ Scholar and then Assistant Organist during my PGCE year. The opportunities I had during these two years launched me into the start of my teaching career as Head of Keyboard at Milton Abbey School in Dorset, where I am soon to take up the post of Head of Music in my third year. It is difficult to put into words what Lancaster Priory means to me. Musically, I owe so much of my music education to Jeremy and Ian, without whom I simply would not be where I am today. 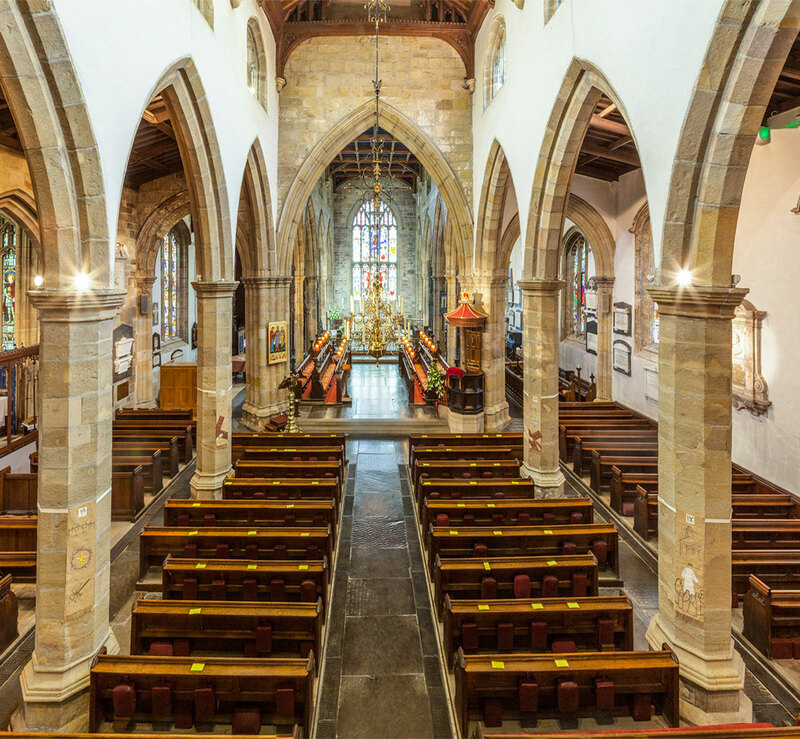 Between them they lead much more than a parish church choir – music at Lancaster Priory has grown exponentially in the last decade and is now a hugely important part of the culturally life of many Lancastrians. Spiritually, the Priory has really developed my understanding of what it means to be a Christian today, and I very much appreciate the forward-thinking environment created by Chris Newlands and his team of clergy. In particular I will never forget the way in which John Rodwell found the most (seemingly) odd angles for the start of his thought-provoking sermons, and posed many more questions than he answered. I count my time in the choir at Lancaster Priory as the foundation of all my subsequent efforts and work as a church musician. I had been lucky to have piano lessons from a young age, but it was only when Jeremy invited me to join the choir at the age of 10 that I really developed as a choral musician, and, as my voice broke, was caught by an interest in becoming an organist and conductor. All my years in the choir, as treble and then in the back row, gave me a wonderful grounding in the Anglican tradition and repertoire, as well as a new bunch of friends (and adult singers to admire), and the routine of rehearsals and services over several years – not to mention the high level of music-making that was achieved – gave me the solid bedrock that I was able to build on later. It was also the starting point for my longer-term musical development: through singing in the RSCM Northern Cathedral Singers and then – again at Jeremy’s suggestion and thanks to his encouragement – attending an Eton Choral Course, I gained wide experience and made new connections across the country. I became a sixth-form scholar at Eton, and later Organ Student at St John’s College, Cambridge; although I am now a full-time academic, I can still put my organ playing and conducting to use as Director of Music at Emmanuel College. Chris Whitton, Director of Music at Emmanuel College, Cambridge. My time at the Priory set the stage for a life in music. Without that wonderful grounding I would not have gone on to a choral scholarship at Cambridge — nor to a career which has included six years at the Academy of Ancient Music, and eight as chairman of Cambridge’s practical music programme, and my current role with the City of Birmingham Symphony Orchestra. The young men and women in today’s choir are receiving a first-class musical education while maintaining the centuries-old choral tradition in our city. The choir is a jewel in Lancaster’s crown; I encourage you to support it as generously as you can. Simon Fairclough, a chorister in the nineties. Simon joined the CBSO after six years as Head of External Relations at the Academy of Ancient Music, where he achieved a five-fold increase in fundraised income and secured regular funding from Arts Council England for the first time. From 2005-2013 he was also executive chairman of the Cambridge University Musical Society, where he doubled the number of programmes supported, launched a Great Conductors concert series enabling students to work with the likes of Sir Mark Elder, Sir Roger Norrington and Libor Pešek, and achieved financial surpluses every year. He was educated at Christ’s College, Cambridge, is an International Fellow at the Kennedy Center in Washington, DC and is a member of the Faculty of Music at Cambridge. Being a boy chorister in Lancaster Priory Choir was the formative experience of my childhood; more important even than the time I spent at school. Not only was the musical training a huge gift that I continue to enjoy to this day, but the social life of the choir and being part of a team of singers were experiences which gave me more than I know how to put into words. Jeremy Truslove was the choirmaster when I joined back in 1986. The charisma, energy and artistic rigour which he brought and continues to bring to the choir and music of Lancaster Priory provide huge inspiration and value to all concerned. Being in this environment as a a boy and young man provided the foundations for me to go on to sing in wonderful choirs at university including Schola Cantorum of Oxford and as a lay clerk in the chapel choir of Magdalen College Oxford. I owe Jeremy and Lancaster Priory Choir a huge debt.